Should we teach philosophy to children? You’d have a hard time, I imagine, convincing many readers of this site that we shouldn’t. But why? It’s not self-evident that Kant’s ethics will help Johnny or Susie better navigate playground politics or lunchroom disputes, nor is Plato’s theory of forms likely to show up on an elementary school exam. Maybe it’s never too early for kids to learn intellectual history. But it’s less clear that they can or should wrestle with Hegel. Peter Worley also argues that it makes kids less prone to propaganda and the fear-mongering of totalitarians. 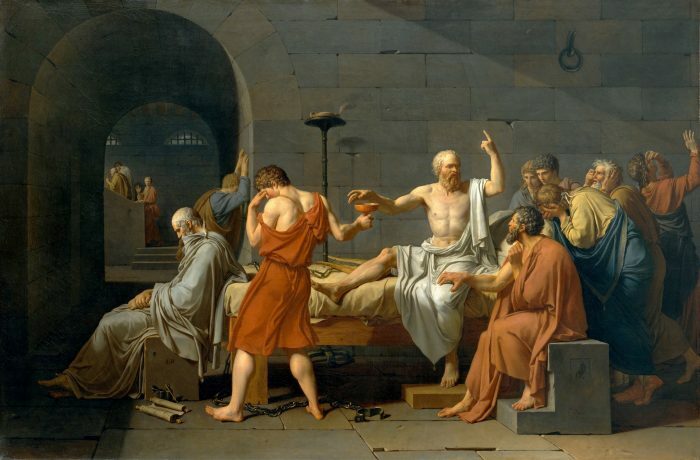 While one reader astutely pointed out that several philosophers have had “authoritarian tendencies,” we should note that even some of the most anti-democratic—Socrates for example—have used philosophical methods to hold power to account and question means of social control. Inspired by an earlier American pedagogical thinker, John Dewey, Lipman and co-authors published Philosophy in the Classroom, under "the assumption,” writes Temple University Press, “that what is taught in schools is not (and should not be) subject matter but rather ways of thinking.” Lipman and his colleagues have had significant influence on educators in the UK, prompting a huge study by the Educational Endowment Foundation (EEF) that tracked nine and ten year old students in England from January to December of 2013. Children from disadvantaged backgrounds saw an even bigger leap in performance: reading skills increased by four months, math by three months, and writing by two months. Teachers also reported a beneficial impact on students’ confidence and ability to listen to others. The rigorous study not only found immediate improvement but also longitudinally tracked the students’ development for two additional years and found that the beneficial effects continued through that time; "the intervention group continu[ed] to outperform the control group” from 22 of the schools “long after the classes had finished.” You can read the study for yourself here, and learn more about the Philosophy for Children movement---“inspired by a dialogical tradition of doing philosophy begun by Socrates in Athens 2,500 years ago”---at the Philosophy Foundation, the Institute for the Advancement of Philosophy for Children, and the Center for Philosophy for Children at the University of Washington. Yes, it teaches one how to use reason to think through a problem, not just mindless rote answers to standardized tests. One needs to learn not just what a philosopher thought, but how they got there. I have attended Oscar Brenifier´s workshops about practice philosophy. I has also been doing work with childrens for quite a while. Based on my anecdotal evidence (I have not formally gathered data) I agree that teaching young people Philosophy improves their reasoning ability. I teach high school level Philosophy and have recently taken on board a year 7 and 8 class (11 and 12 year olds). Reading the study, effect sizes range from 0.03 to 0.29. Is this good? In his review of hundreds of meta-analyses of educational interventions, John Hattie found that the *average* effect size is about 0.4. As he puts it, “everything works” – at least to some degree. If an intervention gets less than 0.4, you should probably think about doing something else that’s more effective. In this case if you want to improve reading or writing or maths skills, you should probably look at the kinds of interventions which have most impact on those skills. Put another way, the interesting comparison to make is not treatment versus control (though you need to do that) but treatment versus alternative treatment options. You may love P4C for other reasons, but based on this data, impact on reading/writing/math is a pretty weak reason to recommend it. So it proves Atistitl’s way of teaching of 2500 years Aristotle was right.